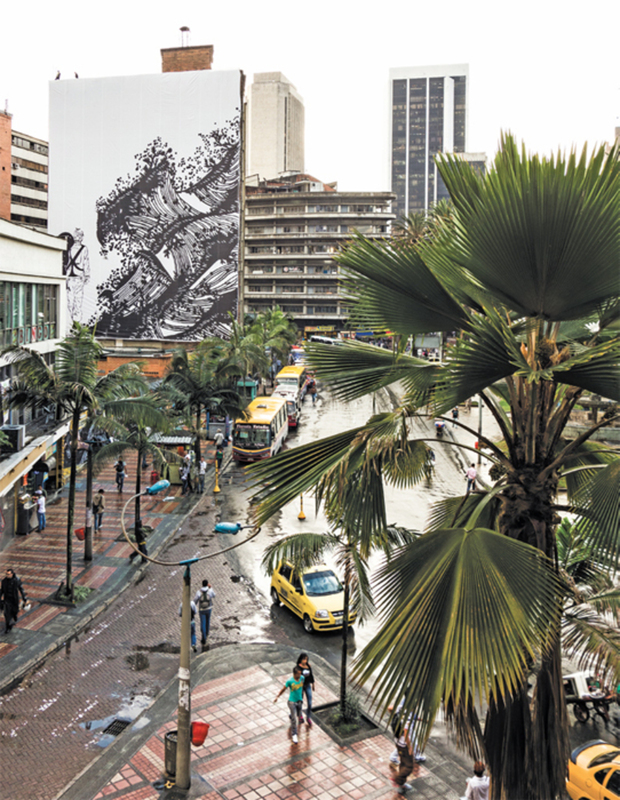 María Isabel Rueda, El fin (The End), 2013, printed polyester banner, 98' 5“ x 78' 9”. From the 43 Salón (inter) Nacional de Artistas: “SaberDesconocer” (To Know Not to Know). Edificio Antioquia.